This photo of Jimmy was one of the first that our team chose as one of our winners in our Pet Calendar Photo Contest. How cute is he sitting in this wagon? Jimmy is a Mini Goldendoodle who lives in Charlevoix, Michigan with his owners. Their previous dog – also a Goldendoodle – had passed away at only a year and a half and they knew they wanted another. They waited 8 months to get Jimmy, and picking him up is one of their happiest memories, as it was such a relief to finally bring him home and start a new story with him. Jimmy comes from a family of Stormy Kromer lovers, and when one of his “grandfathers” saw the pet gear, he knew Jimmy needed to have something – in fact he chose both the Critter Kromer and Bandana! Jimmy loves food above all other things in life, but also enjoys wearing his Critter Kromer when he helps with chores around the house. 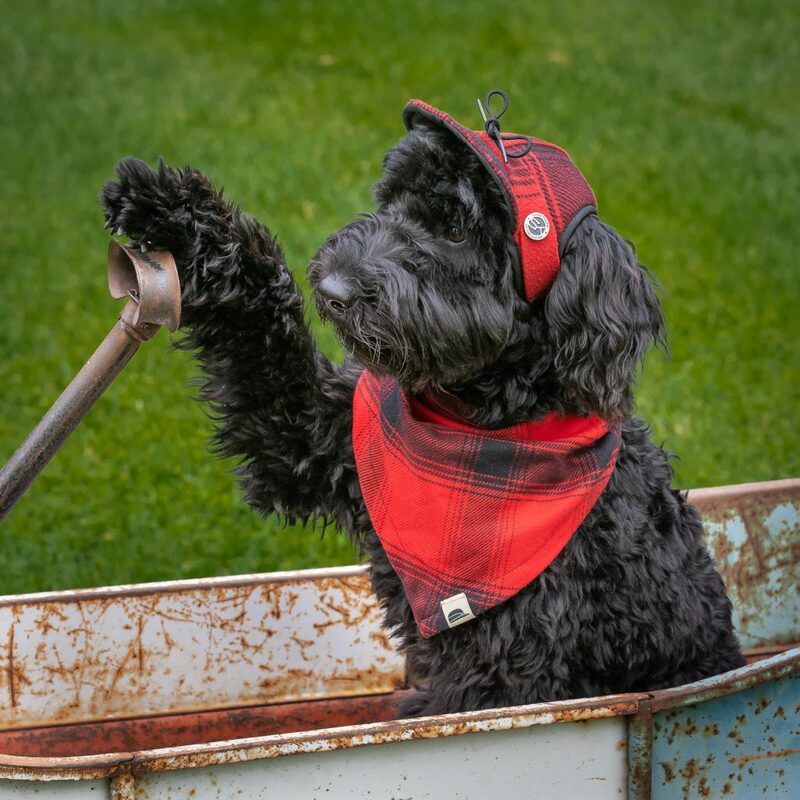 When he heard that Stormy Kromer was looking for pets for their calendar, he said “Let’s take the wagon up to Ironwood!” His owners gave it some serious thought, and then took a picture instead. Our entire staff truly hopes Jimmy and his family make their way up to Ironwood someday – whether by wagon or automobile. Either way we would roll out the red carpet for him. We hope you are enjoying our monthly pet photo features! Don’t forget to save your Kromer pet photos for later in the year when we announce the contest for our 2020 calendar! I know Jimmy. He’s the cutest and he’s in a excellent family that loves him with all their hearts. Hugs Jimmy.